Burnley produced a thrilling display to defeat West Ham in their final game of 2018. On a weekend of surprise results and headline performances, it would be easy for Burnley's display against West Ham to go under the radar. Yet this was arguably their best 90 minutes of the season, one that could have saved their season and their manager. 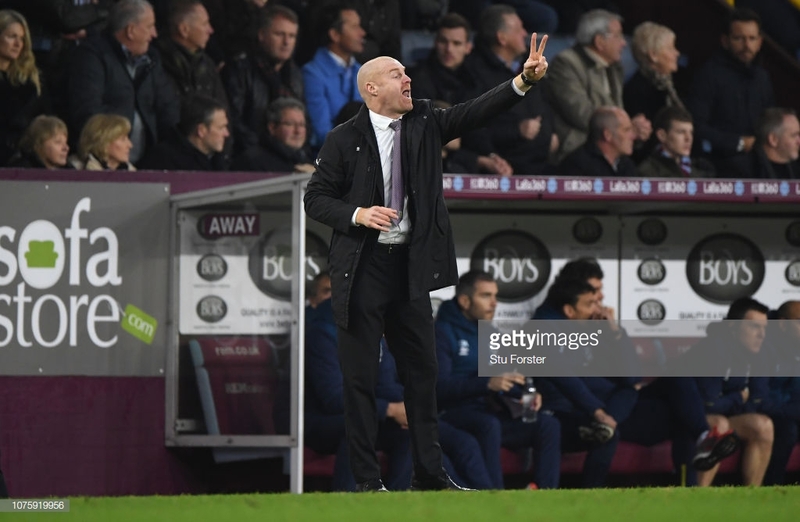 The most notable change was Sean Dyche's decision to revert back to 4-4-2 instead of 5-4-1. Burnley weren't in this match just to contain, soak up pressure and hope for the best. They were looking to take three points and make a statement. That was emphasised by how much they pressed without the ball. The Clarets were well aware of the threat posed by the likes of Felipe Anderson and Marko Arnautovic close to goal so they looked to push them back and keep them away from dangerous areas as much as possible. Anderson completed just 64% of his passes, 13% down on his average for the season. He lost the ball a match-high seven times and touched the ball just four times in the Burnley penalty area. The visitors were dispossessed a total of 28 times with 18 of those coming in the middle third or their own third of the pitch as Burnley pressed at every opportunity. The Clarets were not afraid to put a foot in either. They doubled their average number of tackles per game with 30 across the 90 minutes. Only nine of these had to be made in the final third. Yet Burnley's offensive play was even more impressive. The Clarets mustered 17 shots when they only average nine per game this season. The link-up play between Chris Wood and Ashley Barnes was a delight to watch and rekindled memories of their compelling partnership last season. Both players worked the channels, Barnes down the right with pace and power, whilst Wood utilised the left with his strength and aerial prowess. The latter side was an area of concern throughout the contest as Michail Antonio looked out of place in an unfamiliar right-back position. Dyche suggested the "time was right" to throw teenager Dwight McNeil into the mix and the winger ran Antonio ragged. He got on the ball seven times in the West Ham penalty area and benefited from Antonio getting under an Ashley Westwood cross to ghost in for his Premier League goal. However, despite inspired individual displays from the strikers, McNeil and goalkeeper Tom Heaton, central midfielder Westwood was the revelation of the contest. All too often this season Burnley had lacked someone to link up play in midfield. Yet Westwood was bold and brave, happy to fill the number ten position on the ball and he was at the centre of everything productive for the Clarets. Can Burnley maintain such a performance in a series of crucial upcoming games?